China’s First-Ever Golden Pheasant Proofs! For nearly 100 years, China’s world-famous Shanghai Mint has reserved the striking and release of precious metal proofs for only the most culturally significant releases, often depicting creatures both real and mythological that represent the nation’s rich history, culture and heritage. This may be why China’s proofs command such high demand on the secondary market. 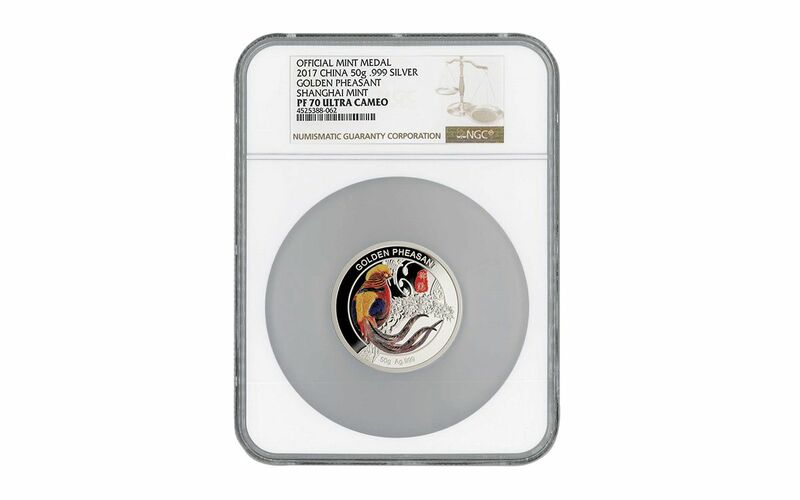 Even the popular Gold and Silver Panda series began as commemorative proofs! 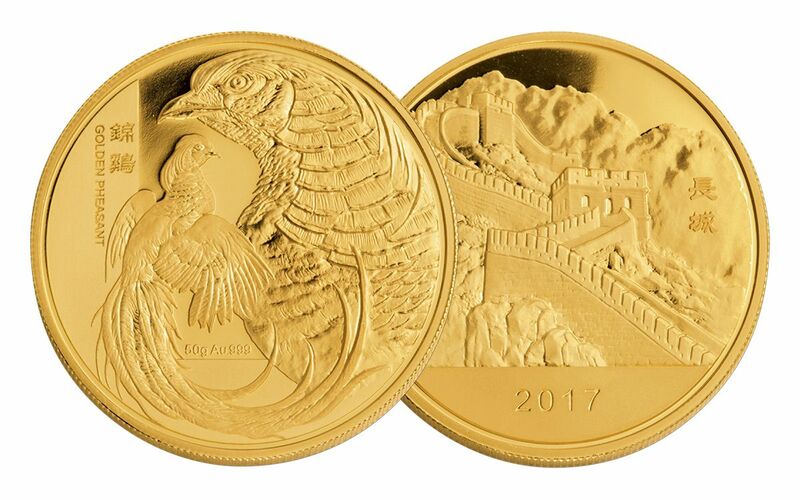 Now in 2017, a new proof rises in China, and you can bring it home in both silver and gold as a two-proof set. 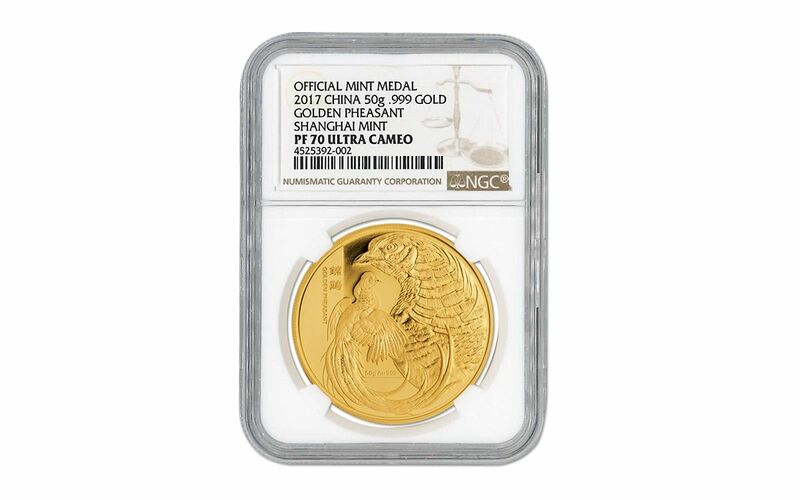 Struck in 50 grams of 99.9% fine silver and 150 grams of 99.9% pure gold, respectively, these proofs have been match-graded as Proof-70 Ultra Cameo (PF70 UC) by Numismatic Guaranty Corporation (NGC). 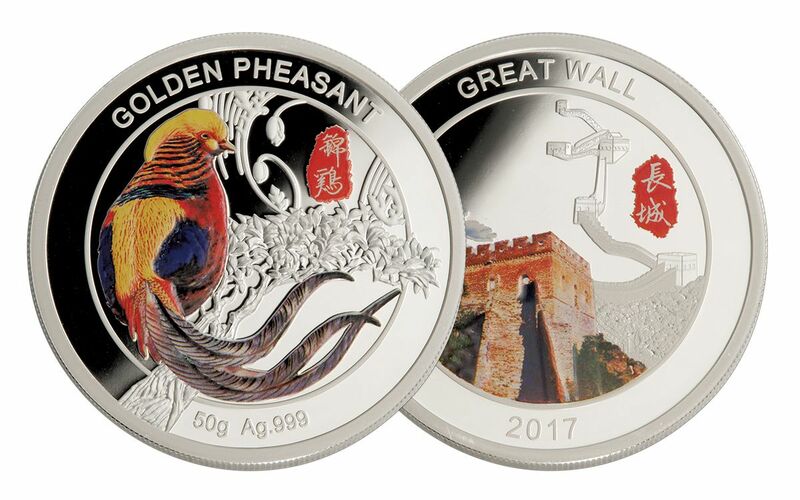 Each of these first-ever Golden Pheasant Proofs displays the golden pheasant’s beautiful plumage, while the beautiful rendering on the reverse of both proofs depicts the Great Wall of China. Why a Golden Pheasant? 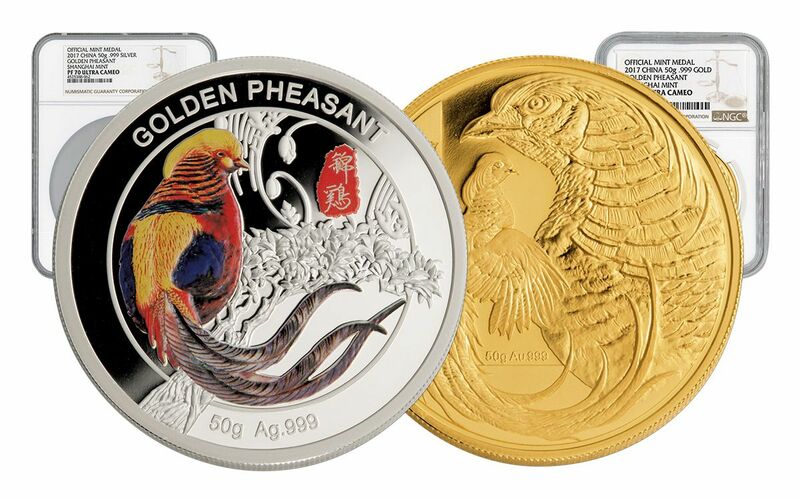 In Chinese mythology, the golden pheasant is often synonymous with the fiery phoenix for their similar appearances. As the closest thing to a real-life phoenix, the golden pheasant was often used to represent the same ideals of peace, prosperity, beauty and refinement. And as one of the twelve Chinese imperial insignias, the golden pheasant was even used in cultural imagery to represent the empress! Don't let the opportunity to own these majestic proofs disappear -- order your set today!